On Wednesday September 23, 2015 at 1 Wayside Road in Burlington MA. starting at 6:30 pm, Dan LeFebvre, a Certified Scrum Coach, will discuss ways teams can self-organize within a top-down hierarchical organization. The 11th principle of the Agile Manifesto says “The best architectures, requirements, and designs emerge from self-organizing teams.” In today’s larger organizations of hierarchy, top-down management, and authority from the top; how does a large organization enable the formation of these teams? What do managers do now? We will explore techniques for organization and decision-making that can support self-organization even in a very structured company. We will look at the why hierarchies exist, why they may no longer serve us, and alternatives for delivering work that are proven in real companies today. Dan LeFebvre is a Certified Scrum Coach with over twenty years in software product development as a developer, manager, director, and coach. He has been applying agile practices to successfully deliver products since 2003. Dan helps software engineering organizations improve quality and productivity. After successfully delivering software products in diverse industries, he has developed a strong passion for helping organizations create great products and teams. Dan holds a Master’s degree in Computer Science from Boston University. 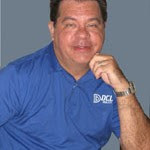 He is a Certified Scrum Master, Certified Scrum Professional, and the first Certified Scrum Coach in New England.